Rooting around in folders, oh yeah, I remember this night in 2015, sneaking around at the abandoned Alameda Naval Air Station. 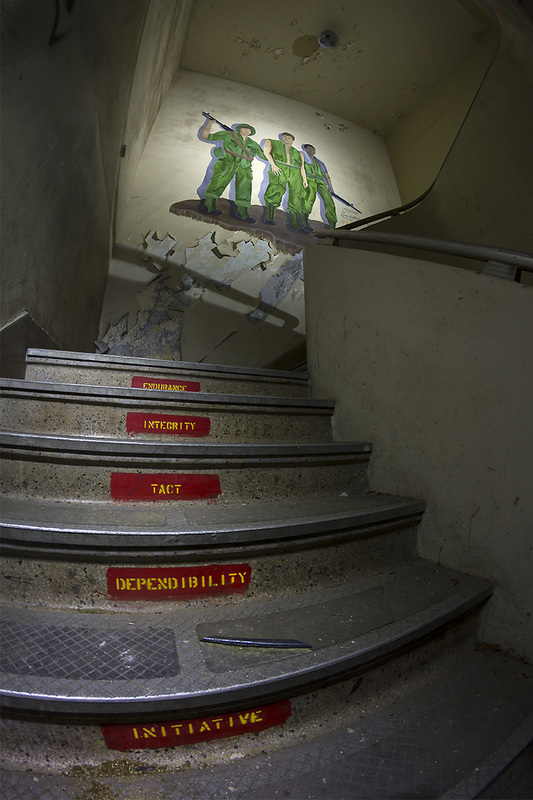 Stairwell in one of the barracks. Late at night, total darkness through the fish-eye, lit with Protomachines flashlight.